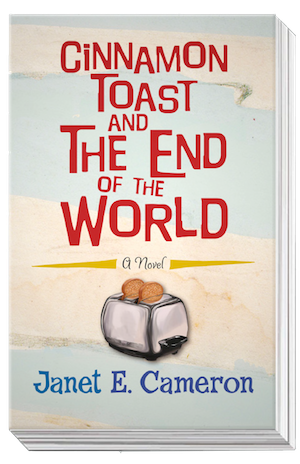 At the beginning of Janet E. Cameron’s book, Cinnamon Toast and The End of the World, Stephen Shulevitz’s world as he knows it comes to an end. He’s reached the sudden realisation that he’s in love with his best buddy, Mark, and that he desperately wants to kiss him. 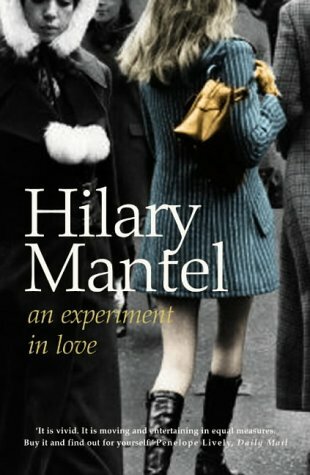 This is a ‘coming out’ novel. You know from the opening scene that Stephen will have to overcome a series of emotional obstacles before eventually coming to terms with his sexuality; that towards the end he’s going to tell Mark that he fancies him, for better or worse; and that there’s going to be some deep issues with Stephen’s parents that he’s going to have to sort out along the way. There’ll probably be a story arc featuring Stephen’s close female friend too. As with any romance novel, where the two paramours are introduced in the opening chapter and you know that on the very last page they will get together, the table is set for a three-course meal you’ve consumed several versions of before. The desire to keep reading a novel in such a well-trodden genre is founded in questions about how the journey will unfold, and the mark of success is whether it keeps the reader questioning. Luckily Cameron knows how to keep the questions popping up. She’s a talented writer, and the journey she takes us on is always pleasurable, sometimes moving, and has a lyrical literary style that separates it from the masses of ‘coming out’ fiction that litter the queer cannon. It also dares, at times, to jumble up the equation and come up with different answers, as in a later reunion scene between Stephen and his absent, drop-out Dad, Stanley, in which a lesser novelist would have given her readers warm, fuzzy emotional resolution. Before any conclusion is reached, Stanley says: “I think this conversation has run its course.” Stephen, instead of getting his father to say he loves him, is left in confusion, and Cameron resists any urge to move Stanley centre stage again for the tying up of loose ends. The tale is set in 1987, mostly in the small Canadian town of Riverside, where boredom rather than outright prejudice drives the violent motivations of its teenage population. Cameron clearly loves the eighties. The book is filled with playful cultural references to the era. When Stephen contemplates suicide, he does so through the filter of watching an umpteenth Friday The 13th sequel. At the inevitably excruciating prom, he dances with rebellious abandonment to Aha’s The Sun Always Shines on TV. He may be surrounded by stalwarts of the genre – the best girlfriend (Lana) who secretly fancies him, the ambivalent but unavailable love interest, the school bullies – but its in her depiction of supporting characters, like Lana’s immigrant father, Mr. Kovalenko (“a look on his face like he’d been chewing old sardines”), and Stephen’s fleeting, sexually gluttonous girlfriend, Tina Thompson, with her “muscular tongue”, that Cameron really lights up. Stephen himself is a sharply drawn protagonist, his teenage view of the world suitably cynical, but underlined with almost poetic, acute observation. Towards the end the inevitable happens, and as Stephen’s orientation becomes known to his peers, he becomes more and more vulnerable. Cameron isn’t afraid to shift the lighthearted tone of the first half of the novel into much darker territory, and during the penultimate, chaotic scene between Stephen and Mark, you begin to think this might not turn out the way all ‘coming out’ novels turn out, after all. You’ll have to read the book to find out if it does, but in the meantime I’m taking bets that Cameron’s second novel will leave the ‘coming out’ genre behind. She’s simply a writer, a good one, who likes to tell a cracking story. That this story is about a gay boy finding himself is incidental.